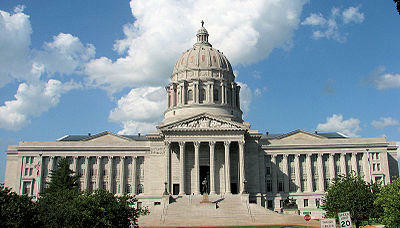 A Missouri senator is trying to stop Gov. Eric Greitens' State Board of Education appointees from withdrawing in an attempt to bar them from being reappointed later. If gubernatorial appointees are withdrawn before Friday, they could potentially be appointed later to the same position. So Sen. Gary Romine in a procedural move Monday attempted to reject their withdrawal. Senators blocked the appointees' confirmation because they voted to fire the education commissioner. Romine says he wants to prevent Greitens from reappointing them after lawmakers go on break. Greitens' spokesman didn't immediately comment. But his office previously cited a 1977 attorney general's opinion as grounds for withdrawing the nominees. Romine says he hopes his move prevents a legal battle over whether the nominees were successfully withdrawn or are permanently barred from serving.